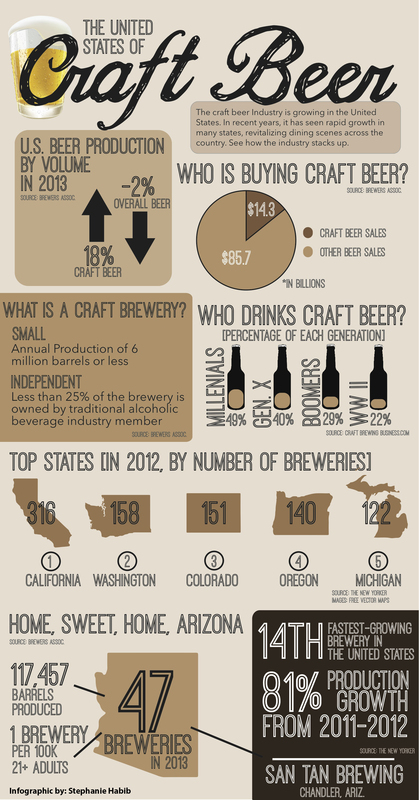 •	Microbrewers: Can produce up to 40,000 barrels of beer, self-distribute 3,000 cases and operate restaurants. •	Producers: Can produce more than 40,000 barrels of beer, but can’t operate restaurants or pubs. •	Distributors: Sell beer from microbrewers and producers to the consumer. •	Increases the allowable annual production limits for a microbrewery from 1.24 millions gallons per location to 6.2 million gallons of beer. •	A microbrewery that exceed that limit must surrender its license and obtain a producer’s license. •	Limits microbreweries to only hold bar, beer and wine bar, and restaurant licenses ¬– and it limits microbreweries to seven retail licenses. Tempe-based Four Peaks Brewery plans hire more people and expand its brand. Co-owner Randy Schultz said that means consumers can expect more styles of their most popular brands and specialty releases. The company may even bring back “many of our favorites from the past that have sat waiting to be made along with a long list of new beers brewers are excited to share,” he said. Schultz said he and his fellow owners were thrilled when Gov. 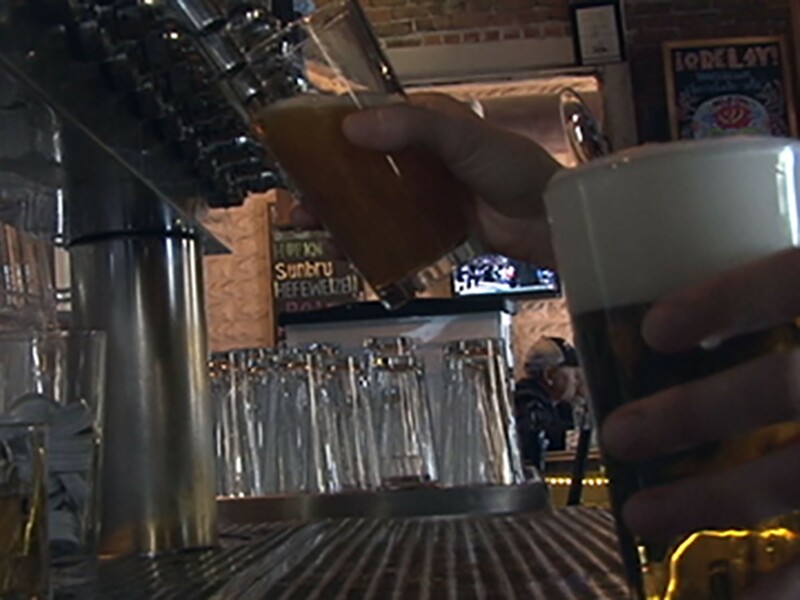 Doug Ducey signed SB 1030, dubbed the Arizona Beer Bill, earlier this week. The law will raise the production cap for craft brewers, allowing them to generate more than 200,000 barrels of beer per year and operate up to seven retail shops under a microbrewer license. Schultz said under the previous cap, Four Peaks couldn’t produce more beer or risk surpassing the cap, which would have forced them to close two restaurants. 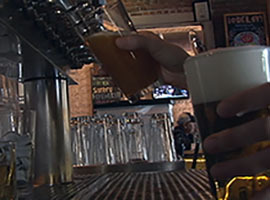 He said the new law could serve as an example for craft beer legislation in other states. Craft brewing has a $664 million economic impact in the state and is growing nationally by 18 percent each year, according to the Brewers Association. It creates more than 20,000 jobs for the state and generates $1.2 billion in revenue, according to the Arizona Governor’s Office. Paul Gatza, director of the Brewers Association, which represents more than 2,300 brewers nationwide, said craft breweries have been introducing similar legislative efforts nationwide. Matt Trethewey, co-owner of the Beer Research Institute in Mesa, said although his smaller brewery wouldn’t likely produce 200,000 barrels a year, the law benefits his business because it allows them to continue to self distribute. The bill initially drew criticism from the officials with the AZ Wine and Spirits Wholesale Association. They said raising the cap would solely benefit larger breweries and allow a monopoly of the industry. Lawyer Don Isaacson, who represents the association, said the final bill was a compromise. The law goes into effect 90 days after the end of the legislative session. One of the owners of Tempe-based Four Peaks Brewery says the brewery plans to hire more people and expand its brand, a plan that includes releasing more specialty beer. One of the owners of Tempe-based Four Peaks Brewery said they plan hire more people and expand their brand, which includes releasing more specialty beer.